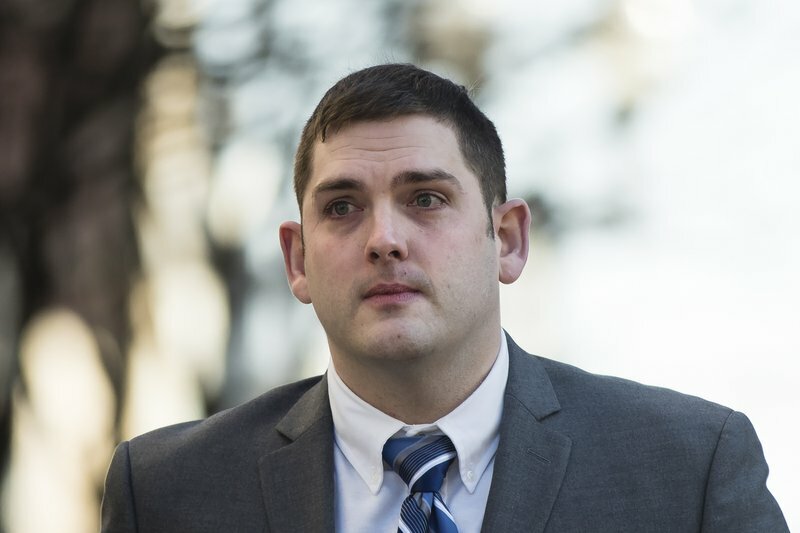 PITTSBURGH (AP) — The defense rested its case Friday in the homicide trial of a White police officer charged with shooting and killing an unarmed Black teenager near Pittsburgh, signaling the jury will soon get the case. Former East Pittsburgh Police Officer Michael Rosfeld is charged with gunning down 17-year-old Antwon Rose II last summer. Video showed Rosfeld shooting Rose in the back, arm and side of the face as he fled. The former officer told a jury he thought Rose or another suspect had pointed a gun at him. As Jobe returned to the stand Friday for cross-examination, the judge lifted a gag order he imposed on parties in the case at the request of the defense. Defense attorney Patrick Thomassey said while he and prosecutors have abided by the judge’s order, the attorney for Rose’s family has not. On Wednesday, S. Lee Merritt released a letter to the media that Rose’s mother wrote to prosecutors urging them to show what a “kind, loving and funny” person her son was. Rosfeld, 30, fired three bullets into Rose after pulling over an unlicensed taxi that had been used in a drive-by shooting. Prosecutors charged Rosfeld with an open count of homicide, meaning the jury can convict him of murder or manslaughter. Prosecutors say Rosfeld gave inconsistent statements about the shooting, including whether he thought Rose had a gun.